We are now in our third week in China and we have had an absolutely jam packed schedule! 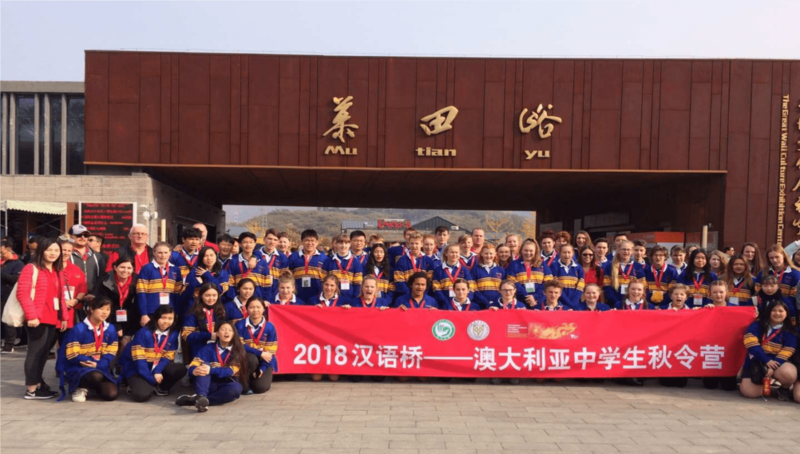 For the last 3 weeks, five Year 9 students have been visiting cultural sites around Beijing, Shanghai and Suzhou while also attending language and culture classes at a university and secondary school and living here in China. Millie Eastman, Casey Gigliotti, Isolde Kieni-Judd, Abigail Merry and Cheyenne Trezise were the five students from Phoenix P-12 Community College selected to attend the Department of Education Young Leaders to China Program and learn about language and culture all while experiencing the famous sites in China. They join students from Stawell Secondary College, Hazel Glen College and Traralgon College to form group 2, fondly known as the 29 ‘strayins. The group have visited The Great Wall of China, The Forbidden City, The Summer Palace, The Temple of Heaven, The Lingering Gardens, The Oriental Pearl Tower and so much more in these three short weeks with many more experiences left to come over the remaining 15 days in Shanghai. They have met the most incredible people and had many laughs but most importantly really challenged their leadership and language skills in the classroom experiences, formal ceremonies and presentations. We cannot underestimate the power of FOOD! The students have tried the traditional Peking duck in Beijing, classic Hot Pot in Shanghai and other traditional dishes including fish, soup dumplings, lotus root, toffee covered hawthorn, dragon’s breath and the most interesting of all – chicken’s feet! Attending school most days from 7am to 8:30pm as well as the abundant excursions on offer has kept the girls and Miss Eberle very busy but it is all smiles over here.